How to choose the best robot toys for your family to enjoy, learn and interact? First of all, there is no minimum or maximum age to have fun with such technology! Below, I will help you discover the best and most popular robots for children as well as for adults that will revolutionize the moments of play from the youngest to the oldest. Therefore, robots are becoming more and more important in everyday life. They impress adults as well as children because they are fun, creative, surprising and always at the cutting edge of technology. Unlike conventional toys, robots interact with children, which stimulates them more. There is something for everyone, from robot dogs to radio-controlled T-rex! 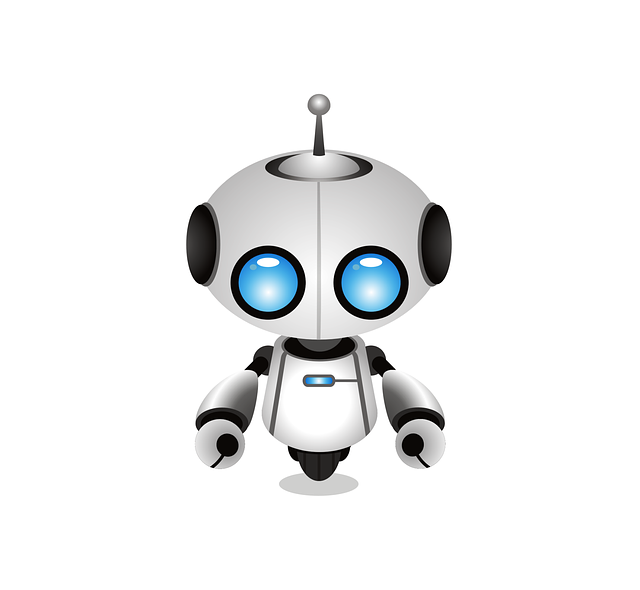 So, do not hesitate anymore and discover the robots I have tested and reviewed for you. But first what do you need to consider when you want to buy a robot toy? To introduce your child to programming and computer language, offer him a programmable robot! These robots are real computers with optical sensors, microphones, lights, gyroscopes and speakers, also, some move rather quickly! They are designed, among other things, first of all, to help children develop their logic, plan tasks, solve problems and explore the basics of programming. Programmable robots are for all children, even those who cannot read. Because even at a very young age, toddlers can learn to associate images with actions to accomplish. Habitually, experts evaluated their quality, their pedagogical interest and the safe use of applications. They also attributed a good “fun rating” to the robots that will be of most interest to kids. Most work with Bluetooth wireless technology. Good news: it’s easy to connect the robot to a phone or tablet! We won’t go through to how to use them, as each one has its specific assembling, setup and operating instructions enclosed in the packaging, or you can download that from the Internet. Meet Cozmo, the darling little intelligent robot with a strong personality! Also, with his pretty face, big eyes, nods, intonations, attitudes and expressions, Cozmo is able to express hundreds of emotions. His mood evolves according to what he lives with you every day. And if you ignore him, he will become cranky. In addition, Cozmo loves challenges. He is always ready to play and especially to win. Playing with him can improve his abilities and unlock new features. Whether playing with his Power Cubes or challenging his favorite games, he is always ready for action. And the more he plays, the faster and agile he becomes. Code Lab is a simple and intuitive visual programming language that allows you to access the main features of your robot. Just drag and drop a few blocks of instructions to see Cozmo come to life and perform a series of actions. Once out of its packaging, Cozmo is ready for use. All you need is an iOS or Android compatible device. Has passed many tests, including crash tests, Cozmo is stronger than it seems. Yet, he has been created to last. You must have noticed that I have been referring to Cozmo as “he” and not “it” all along this review, that is because Cozmo is really more than an object, even more than an intelligent object, so I felt that “he” was really appropriate. I have contacted a few Cozmo owners to ask them what is their impression, and possible recommendations, after having used it for a while. This robot is a playmate with an exceptional AI. 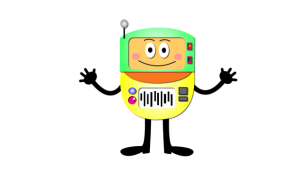 Children can also program with a simple code (code labs) and for older children, the Python language. We have fun with the robot that knows how to recognize faces and its interactive cubes. If you are a programmer in Python, the possibilities to create games are infinite. Discover the interactive R2-D2 robot compatible with Smartphone and Tablet and dive into the universe the Star Wars saga! Suitable for ages 6 and up, but, NOT suitable for a child under 3 years old. The whole family will enjoy hours of fun with this nearly 10″ tall little smart creature moving in all directions. Much as it is coming straight from the galaxies, the Star Wars Smart RD-2D robot will perform for you as programmed by you. It emits robotic sounds and light effects as it performs various tasks in front of you and your happy family. Works with 4 LR06 (AA) but batteries not included. Take control of the WowWee MiP robot! Guide your new balancing friend with your hand with GestureSense technology. Thanks to its different game modes and free applications, the MiP robot will always be there to entertain you! This MIP Interactive Connected Robot is for all fans of the future and innovative gadgets that both entertain, surprise and make life most enjoyable. MIP is an interactive robot which is as useful as it is fun! Connected bluetooth and controlled via a smartphone application available on the App Store and Google Play, the use of this innovative toy-robot is relatively simplified. It is possible to engage in a merciless fight with another MIP robot and manage the fight via the application. In addition, many games are available via your smartphone, more than enough for you and your family to have fun with this new generation interactive robot. This intelligent and neat little robot can bring you your cup of tea on its small tray, and, safely. This very intelligent little robot is recommended for 14+ years of age, but it will really be great fun for a younger child when operated by the parents for example. The UBTECH Alpha 1S is a fully programmable humanoid through your computer or smartphone for enthusiasts of robotics or an educational destination, it adjusts to all levels! With its sixteen servomotors it performs a large number of movements, perfect to have fun or refines your programming skills. The Humanoid Robot Ubtech Alpha 1S has 16 degrees of freedom to allow the movement of the legs, hands and thus perform several complex movements, for example, rolling forward and back, do the pear, perform karate movements, hiphop … and many more! 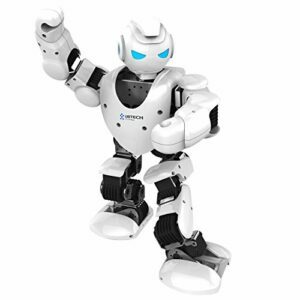 Alpha is equipped with many innovative features, many of which (3D modeling of the software, servo motor, PPR programming) have been developed and patented specifically for this robot. Thanks to its top quality aluminum structure and ABS case, it is made of ecological materials and high quality. Alpha 1S will delight both children and adults. Whether you use it for sports training, telling stories to your children, or starting to learn programming, Alpha 1S will always fulfill its role perfectly! As a source of entertainment, Alpha 1S is very enjoyable to control at all ages. Equipped with an integrated speaker, it is the ideal instrument for transmitting educational programs to children, and its interactivity facilitates learning. Thanks to its 16 powerful servomotors, the Alpha 1S robot has a maneuverability and a disconcerting flexibility. Capable of pushing and rolling, no movement is out of reach! With the AlphaRobot1S software, program your own choreography. Define the movements using the intuitive 3D interface and choose a sound accompaniment, then transfer the sequence to the robot and launch it through the application with ease. Then share your creations with other users through the app. With the bluetooth application Alpha1S available on the App Store and Google Play, control the robot directly via your smartphone: make it dance, talk, play football using the predefined modules, or using the free mode. You can also program Alpha directly from the app! Available on iOS and Android. You can also program Alpha to wake up at a certain time and perform the action of your choice! In addition to being able to download the actions created by the other owners of Alpha, it is possible to have two Alphas interplay, to play a football match, or to recreate a movie scene. Alpha 1S is also a storyteller! This little chap is a great player and will integrate very quickly to his new family! A dog that is as affectionate as it is amusing and who responds when you call him! It is designed with multiple sensors to mimic almost perfectly the movements of a real dog. You new little puppy is always ready to learn new tricks, therefore, do not hesitate to make him sit down, turn over on himself, the more you will do with him and the more he will remember. Be careful, because if it feels abandoned he could be bored, and even lift the leg inside the house to do his needs! He also knows how to wag his tail, it barks, talks, sings and follows you with his eyes to make you understand what it wants. It will help your kids to learn early sciences and buildup good habits. It is also very entertaining and funny as it sings, dances and… yes, farts. By selecting one of the several modes, the multi-action puppy can dance, sing, lie down, walk, fart, flirts, stands up, and even climb. It can even have various riveting eye movements with diverse actions and sounds. In addition, it can even sing any of the four songs: Hokey Pokey, Bingo, Everybody Jump, and the Rabbit Dance. And all this added to cute actions of singing. The puppy will display 26 alphabet letters and 10 numbers successively on its eyes as it reads them, a great way to teaching the little ones. And then, his cute and smart little dog is infrared remote controlled to a distance of up to 50 feet (the batteries are not included). Want to see a happy child? This website is forever a work in progress as my goal is to provide you with the best reviews of the products as they become available. So make sure to bookmark it so that you come back often! If you have not found exactly what you are looking for, click on ➸ Amazon to have a search. Hopefully you enjoyed reading this page and found this website useful for selecting the right robot toy for your entertainment. My readers and I would love to hear from you and if you have anything to share, or have any questions, just use the box below and someone will respond as soon as possible. If you found this guide helpful make sure to share it socially and write a comment below, I will be most grateful! Also, you might like to get up to speed with what’s new in the robotic world, so I invite you to visit my “In The News This Week” page. Enjoy! I am a member at Wealthy Affiliate, where I have been trained to share my passions with the world. I am taking this opportunity to invite you to join me and my team and to become a successful business owner. It is 100% FREE to join, learn and earn! Just click the button below to learn more about it. © Copyright Top Ten Robots since 2017 and to date! the article is really well drafted, well versed, and informative.. I loved the variety that you have offered on your website.. Thanks for visiting my website and for your comments Huzefa. I am glad that you like it and I hope that you have bookmarked it as I have loads more articles ready to be uploaded, you will love them. In fact, later today I will be posting something that will certainly be of interest to you and my readers on my “In The News This Week” page. You’ve really created a great list of robot options here. I wasn’t particularly looking, but this totally caught my eye. My husband would love a robot, but not necessarily one for little kids. These all look fun and high-tech. I’m guessing the R2D2 is going to be the most popular. I really like the UBTECH Alpha 1S Intelligent Humanoid Robotic – humanoid just sounds so cool and it looks like it would be fun to interact with. I appreciate the great suggestions here. Thanks! Thanks very much for your comments Sunny. You are right, the R2D2 robot is a very popular one. Perhaps because of the low price for the basic model. But personally, like you, I prefer the more humanoid type, like the UBTECH Alpha 1S. Have you watch the video? Trust me Sunny, you want to make your husband happy? Get him the UBTECH Alpha 1S. And you know what? He will be so happy that he might get you a robot vacuum cleaner to make you happy too. A win-win situation. Let me know if you have any questions and share with us your experience when you purchase these wonderful robots. What a great idea for a website! My hubby’s birthday is coming up soon and I know where I’m going to come to find the perfect gift for him. I’ll bet you have a great robot collection yourself – true? My husband has a collection lined up on his desk and he needs a new one. Thanks for putting out a comprehensive review of robots that are available now. I really had no idea this many were out there. Thanks for your comment Susan. I am quite sure that your husband will be very happy with an addition to his collection. I know that for a fact, as myself I have a few of them, but, there is always a new one that would fit well among them. That’s why I can recommend those that I have reviewed for my readers. So feel free to contact me again if you have any questions or need some advice. “What about privacy and who has access to all of the data this cute little robot is collecting?” Can someone hack into the robot? I’m half tempted to go out an buy one but I’m still hesitant based on the two questions above. Do you have any advice for a wary buyer like myself? Like anything that is online there is a security risk but it is limited to what you are willing to load it with. If you compared your smartphone or tablet to a robot toy, it is obvious that you have much more personal details loaded into your smartphone than you could load onto your smart little Cozmo, or sweet robot Puppy Dog. So basically, you could not be more at risk playing with your robot toy than you would while cleaning your house with your robot vacuum cleaner, or setting up your GPS for your next holiday trip. This concern has seriously been addressed by manufacturers and controlled by the appropriate agencies, so, really, the risk is quite limited and can be nulled if your wireless device is sensibly setup. I am glad that you brought this matter up, as I now intend to do some further research and post an article on this website to expose my findings as soon as possible. Wow! what a wonderful list of programmable robots. There is so much information on all the types. My favourite one is the Alpha 1S, I like these types of robots purely because they look more like humans. What a fantastic video… It’s just cool! I will definitely get this website bookmarked. Another thing is that it is not only for kids, I will be buying one for myself. Keep it up John great stuff. Thanks very much for visiting my website and for your comment Khayyam. I am glad that you like the selection I have reviewed. These types of toys are really for everyone and all ages. It is also an excellent family entertainment. Great fun. I can only encourage you to order the one that you feel will distract you best and when you do, please make sure to come back here to share your experience. Looking forward to seeing you here again soon. It seems like Cozmo is also one of the most cost effective choices on this post. I particularly like that amazon rates it so highly and so many people have decided to take a gamble on a robot. Kids still love showing their friends their new toys. It is one of the things I bonded with my friends over, even though they were usually far less advanced. I hope we don’t lose this human interaction as toys get more advanced. What are your thoughts on this? 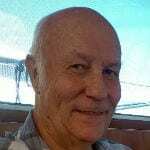 Thanks for visiting my website and for your comments Ernest. Unfortunately we cannot slow down, or stop progress. Kids are even the first to follow with what is trendy. Long gone are the days when you could offer a coloring book to a child for Christmas, now they expect a tablet or a smartphone. So, we as adults better follow the trend if we want to keep in control. This is where robot toys can become a good way to have with your kids quality family time. Some toys are very much interactive and great fun for the whole family, and their friends as well. If you go on Amazon, you can find a good choice of toys, at competitive prices and delivered to your doorstep in just a few days. Let me know if you need any help to make your choice.